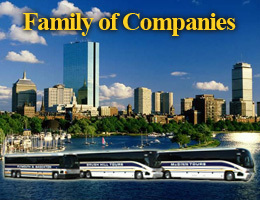 Brush Hill Tours provides professional and knowledgeable step-on guides for tour operators looking for someone with an insider’s view of Boston and its surrounding communities. Our experienced tour guides are eager to share their knowledge, passion and enthusiasm for their hometown with your group. Whether it is suggesting attractions to visit or restaurants to dine, our guides are here to serve the needs of your group. We also have multi-lingual guides available upon request. We take pride in our city and want to make sure your visit to Boston is a memorable one. For more information contact 781-986-6100.